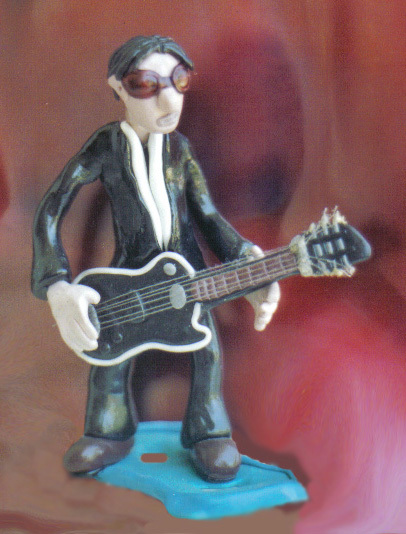 Tobop Productions hand crafts characters and people from real life out of various modelling clays. 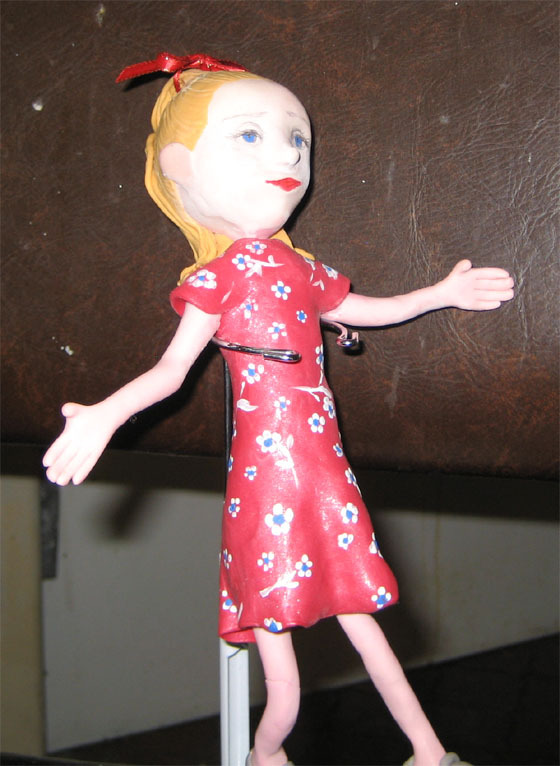 Models can be made to order, all prices negotiable. Simply contact us for inquries. 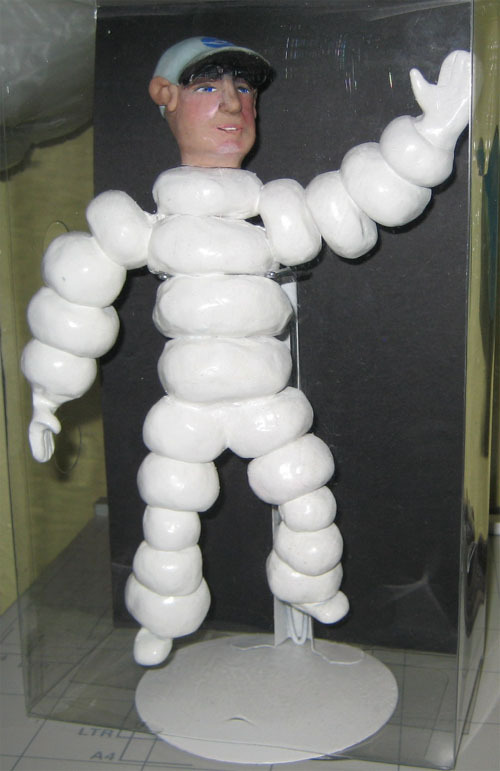 Customer orderd to have the 'Michelin Man' body with a head of a family member. 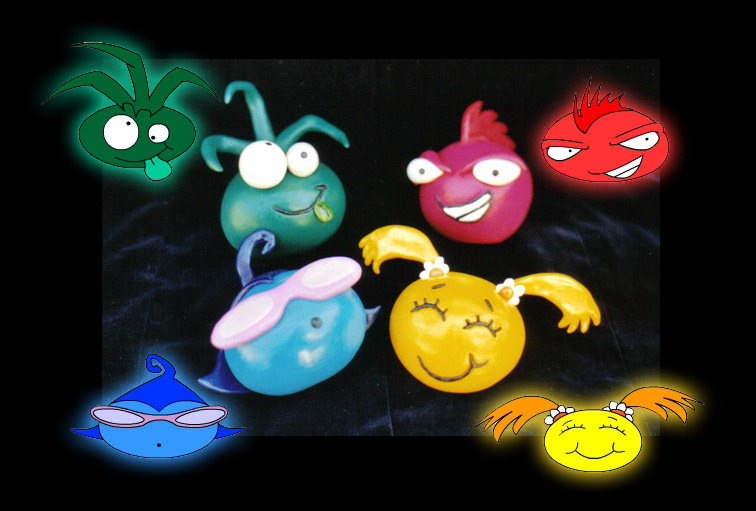 Customer orderd to have the 'Lob-a-Blob' characters replicated into models. 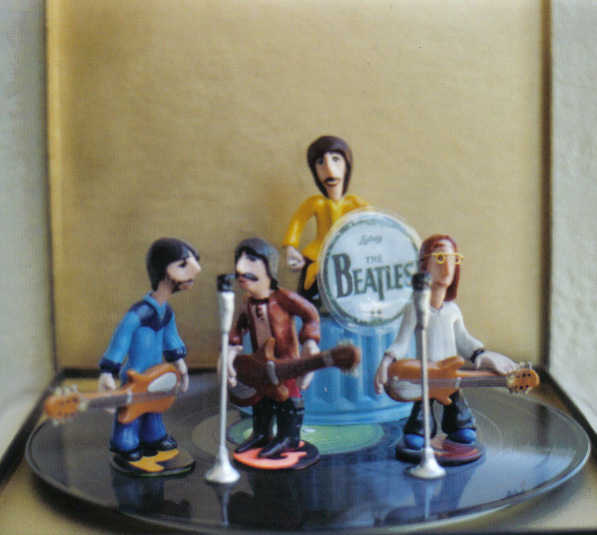 Made to the theme of the 'White Album', complete with props and set. Fimo Sculptures Jon Stuart Anderson is simply the foremost polymer clay artist in the world today. Sculpey Looking for new techniques with cool tools? Check out Sculpey 102 and learn how the tiny ripple blade can give you some amazing results! SculptingCheck the tips and tricks page often as we will always be adding new tips. You may have heard some of the tips but then again you might learn something new or fun to do. 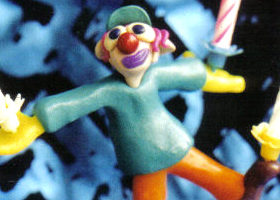 Tobop Tips DVD Soon, everyone can find out the Tobop way of making clay mations and models.